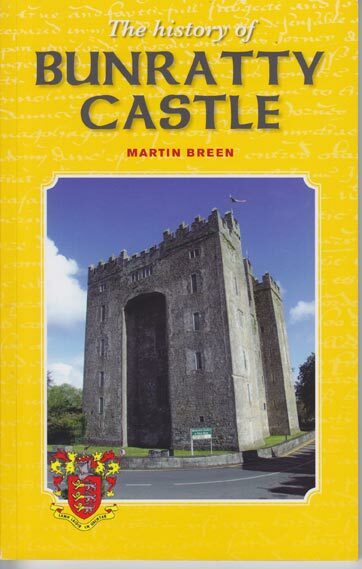 The History of Bunratty Castle. €10.00 incl postage within Ireland. Appendix V 9(The Westropp plans of Bunratty Castle. The Anglo-Normans arrived in Ireland in 1169. In 1248 King Henry III of England granted the district of Tradraighe, in which Bunratty is located, to the Norman knight, Robert de Muscegros, who erected the first fortified structure at Bunratty. Four distinct castles or fortifications have stood here since the middle of the thirteenth century, an indication of the importance of the site, situated as it is on the river passage to Limerick, once an important Viking and later Norman trading centre. The chequered history of Bunratty is filled with stories of sieges and conquests, executions and murders, even an occasional spirit, and individuals seeking to be overlord; of Norman, Irish and English, all inextricably linked to mould the story of Bunratty, spanning a period of almost 800 years.